The Protestant Reformed Church in America is a denomination of 33 churches comprised of 2,144 families and 8,716 souls in the United States and Canada. 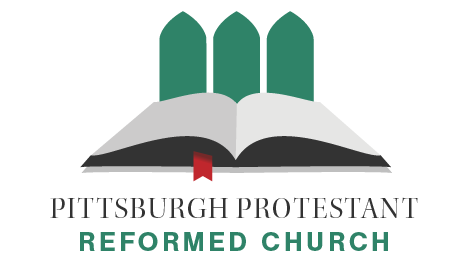 Founded as a separate denomination of Reformed churches in 1924, the PRC stand in the tradition of the Protestant Reformation of the 16th century. Their origin as a denomination was the doctrinal controversy over “common grace” within the Christian Reformed Church in the early 1920's, occasioned by that church’s adoption of the doctrine of common grace as official church dogma. The result of the controversy was that several ministers with their congregations were put out of the Christian Reformed Church. These men then established the Protestant Reformed Churches (PRC). Read more at the PRCA website. Our roots extend from the truths of God’s Word through the great Protestant Reformation of the 16th century, in which John Calvin and Martin Luther faithfully labored. Our creeds are based upon God’s Holy Word and are, therefore, God-centered. They are known as the Three Forms of Unity of the Reformed Churches: The Belgic Confession, The Heidelberg Catechism, and the Canons of Dordt. We were organized in July 1998. Our church is located at 716 Atlantic Avenue, Pittsburgh, PA 15221, part of the Forest Hills area of Pittsburgh. Our worship services are held every Sunday at 9:30 a.m. and 5:00 p.m. Our worship emphasizes the preaching of God’s Word as the power of God unto salvation to everyone who believes. Pastor Wilbur Bruinsma has been a minister in the Protestant Reformed Churches in America since his ordination in 1978. He was born and raised in the state of Illinois where he lived until he began pre-seminary courses at the age of 19 in the Protestant Reformed Theological School in Grand Rapids, Michigan. While yet a student in seminary Pastor Bruinsma married his wife, Mary, who has been of great support and help to him throughout his life as a minister. They now have been married for 39 years during which time God blessed them with five children. Pastor Burinsma's first pastorate was at Faith Protestant Reformed Church in Jenison, Michigan. After but a few years there, God called him to serve in missions. He labored for over five years on the island of Jamaica before receiving the call of God, once again, to serve in the congregation of Holland, Michigan. After eight years, he took up his work in Kalamazoo, Michigan. During these years in the ministry of the Word the desire to serve as missionary never left him. His first love was to labor in a foreign country again, but eventually the Lord led him to accept the call as home missionary sent to the beautiful city of Pittsburgh, Pennsylvania. Under God's blessing, his labors were fruitful and on June 24, 2016 the mission in Pittsburgh was organized into a church. Since then Pastor Bruinsma has accepted the call to serve in this small church as its minister. For many years, Pastor Bruinsma served on the Domestic Mission Committee of the Protestant Reformed Churches. He also has been a regular contributor to the Reformed periodical, The Standard Bearer. He is presently one of three radio pastors on the broadcast of the Reformed Witness Hour, aired over several radio stations in the United States. He has written a catechism book that assists young people in learning the Heidelberg Catechism. Presently he is developing study guides on Reformed doctrine to be used on mission fields for the purpose of teaching converts the Reformed faith.